As 4th July is approaching near, everyone feels a need to decorate homes with red, blue and white. At this time when economy is struggling with downs, you will definitely prefer to celebrate the day with relatives and friends at home. So get ready to give a patriotic flair decoration to your house with these fabulous ideas..
Flags: On independence day, flags are the favorite piece of decorations. You can do a lot with flags as they are available in different sizes. You can place them with decorative lights, dinnerware, flower bouquets, hanging flower baskets, paintings and many more..A flag with rotating pole will be a perfect choice for the Porch. Stars: Stars in red, blue and white colors add a sparkling beauty to the house. You can hang them from the ceiling, porch, doorways, or paste them on walls, or create cascading designs. Like flags, they can be decorated in versatile ways and are at hand with different patterns and styles. It’s very easy to prepare them at home also. Mini home decors: Small decorable items like cartoons, showpieces, and holy fairies look very sweet in kitchen, bedrooms and on dining table. On this festive occasion decorate your dining and kitchen with lovely and funny collectibles, like this below, to show your love for country. Balloons & Streamers: From children to adults, everyone like balloons and streamers to decorate the house on any occasion. On this holiday, get them in red, blue and white colors and hang them with windows, doors, ceiling fans. Flag balloons will also look great. Streamers rolled around stair, railings, and tables, will provide a better ambiance. Hanging shade lamps: Illuminate outdoors with festive porch decorations. 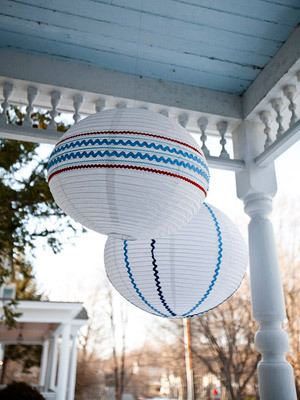 All you have to do is to glue assorted blue and red ribbons on plane white hanging lanterns or you can hang blue, red and white colored lanterns in a pattern in your living area or porch. These decoration ideas will surely make your house liven up with patriotic aura. Just relax and you can think more of ideas. Don’t forget to stick with basic color theme of red, white and blue. To check more July 4th decoration ideas keep looking this blog. For other suggestions click HERE. 4th July is approaching and you must be finding ways to decorate your house in a new patriotic manner. No one can deny the fact that flowers are most important role players in every decoration. Flowers can verbalize your feelings in a very beautiful and wise manner. In this article, we will discuss about different ways to decorate your house with flowers, for this July 4th. Beautiful Door wreaths: Let freedom ring with this beautifully preserved wreath arrangement in true independence colors of red, blue and white silk flowers with blue eucalyptus and caspia, measuring 16″ in diameter. 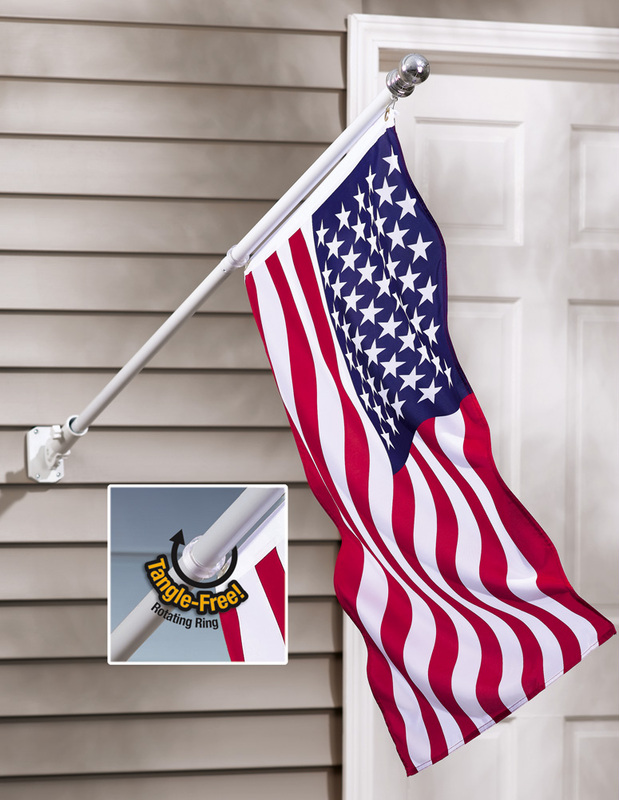 A flag ribbon acting as a wreath hanger gives it more patriotic look. Door wreaths like this will provide more loyal welcome to your guests on independence day. Flower bouquets: American spirit of hope and freedom is very well reflected through a red; white and blue flowered bouquet. Bouquets in classic pitchers, topped with the stars & stripes displays a lovely floral arrangement ruminate respect to your country. This lovely bouquet includes Red gerberas, Matsumoto asters, white button spray chrysanthemums, alstroemeria and blue iris – accented with sinuata statice, seeded eucalyptus and salal in an ivory handled pitcher with an American flag. Hanging flower baskets: You will definitely like to have a hanging flower basket at your entrance. These baskets look beautiful when engaged with flowers of different colors and will provide a delightful look to your balcony or garden area. This independence day you can add red, white and blue accessories like ribbons, stars, and flags to your basket and let it reflect pride for your country. Beach weddings are gaining popularity for their short duration arrangement, less decorations and comparatively less informal dressups than traditional ones. Beach wedding dresses can be absolutely simple, to fabulously stunning but are less expensive than their church wedding counterparts. There are some considerations to be preferred while choosing a beach bridal dress. A tea length dress is always a best choice for beach wedding, or you can choose one that falls a few inches short of the ground. If it doesn’t suits then go for formal bridal wear. A sleek style or a bohemian style empire waist are both considerable for beach wedding dresses. It’s your choice that you’ll prefer a modern stylish look or soft and romantic femininity of empire style. You should go for a strapless or spaghetti straps which look very beautiful on beach. These dresses should not be puffy and much layered as beaches tends to be warmer than an air conditioned church. Avoid bead-work and heavy embroidery. Prefer to wear natural fabrics like cotton which will allow to pass air through the dress. Beware while choosing accessories. It’s obvious that if you have chosen simple beach dress than the accessories will also be simple. A flowery hair band, shell or pearl necklace, pearl bracelet, with a white and red flower bouquet in hands will go perfect with dress. No need to wear high heels. A pair of flip flop or strappy sandals sounds best for beach bridal wear. Some brides prefer to go barefooted, which is also a good option. Want to look a stunning beauty in your prom night and shine your way with an everlasting impression on spectators in a dress which speaks about your style, and shower elegance beyond limits. In order to make this event more special, girls often search for a unique dress. Choose a style and silhouette that adulate your curves. Important red carpet looks for proms this year include strapless short length attires, outfits with low back, spaghetti strap prom dresses with tie on backs, elegant prom dresses with slits, and empire waist dresses with metallic and bright colors. Be comfortable and confident with your dress, and remember to buy shoes and bags complementing it. This gown is of chiffon, featuring Black charmeuse satin banding along waistline and on bustline, with a deep V-neckline and halter strap which ties in the back. The tiered skirt falls to a T-length with a high-low cut, and brooch detail with bow on the dropped waist makes it a perfect bold dress for Prom event. Taffeta short, fun prom dress with pleated skirt by Mori Lee, provides you a look which suits your fun and fearless style. Shifting from the radical topic of Leather Leggings posted yesterday, lets talk about something organic. Cotton is fun and fashionable. Its beauty and natural comfort make the world a better place. Can you imagine a world without cotton? It’s often the first fiber we touch when we are born into the world… and it stays with us throughout our lives. Consumer demand clearly shows that people want cotton in their lives all year long because the comfort and strength that cotton provides is empowering. It allows wearers to be themselves. There is nothing fake about cotton. Cotton feels wonderful against your skin and we believe it is the healthiest of all fibers. Life can be hard, but cotton makes our lives easier. So if in case you are looking for a cool, casual, impressive look, go in for printed cotton tunics. Might have seen many funny videos, but here is another hilarious. All seem to be perfect in BasketBall, and do look at the guy in the last shot. It’s amazing. Can be used as a headboard with the extension posts provided or as a footboard when attached to any standard bed frame (not provided); Can also be attached to the Teen Trends platform bed; Made from industrial strength powder coated square tube, bar stock and sheet steel; Teen Trends silver finish with decorative powder coated panel color. Earrings: created ruby, 2 pieces snowflake shape 9mm, total weight 5.50 carats. Earring dimension: 3/8 x 3/8″. Pendant: created ruby, 1 piece snowflake shape 10mm, total weight 4.00 carats. Pendant dimensions: 7/8 x 1/2″. Earrings and pendant have a total weight of 8.30 grams and are set in pure.925 sterling silver. Includes a 18 sterling silver box chain, free gift. Adjustable Spaghetti Strap Sundress With Corset Tie Back; Top Is Fully Lined For Full Coverage; Princess Seaming For Shape. Uniquely powerful 40x optical zoom/2000x digital zoom; Professional-quality Carl Zeiss Vario-Tessar lens; 2.7-inch wide (16:9) touch panel LCD; Hybrid recording with Memory Stick PRO Duo media slot; Super SteadyShot image stabilization system.Get this item. He Waterford Crystal Lismore Thistle Vase is a new addition to Waterford’s Lismore Collection. Featuring Waterford’s most popular diamond and wedge cut Lismore pattern, the Lismore thistle vase is beautiful and functional. Waterford’s Thistle Vase is 7” tall, and is carefully packaged in a Waterford gift and storage box. 8.0 megapixels, ideal for prints up to 13 x 19 inch; 4x optical/4x digital zoom; Optical Image Stabilizer keeps every shot absolutely steady even when you’re not; 2.5 inch color LCD screen; Print/Share Button for easy direct printing and downloading. Sketched logo skull design on chest with brand name on side. “Metal Mulisha” printed on back shoulder. Authenticity patch at hem. Features zip front, drawstring hood and two hand pockets. Coupon: Price after $3.74 coupon savings at checkout! The season’s best crop: a little cardigan to wear over dresses and jeans; Deep V-neckline; Short, puff sleeves with ribbed hem; Four-button closure; Ribbed hem; Hits at hip. 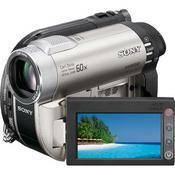 DVD-R/-RW/+RW/+R DL; Memory Stick PRO Media Duo Slot; 1/8 inch Advanced HAD CCD; 30mm Carl Zeiss Vario-Tessar Lens; 60x Optical Zoom; 2.7 inch Wide Touch Panel LCD; SteadyShot Image Stabilization; Viewfinder; Face Index & Film Roll Index; Hybrid Recording. This classy pump gets an update with it’s banana-shaped heel; Leather or patent upper; Squared peep toe; Lightly padded insole; Man-made outsole. This stylish fountain has a natural slate and copper finish. Please note polished river stones are included. Dazzle her with the brilliance and fire of this beautiful 14K Gold Square-Cut 3-Stone Diamond Ring. Perfect as an engagement or anniversary ring, this exquisite piece represents the past, present and future of your love. Features 0.25 carat center stone flanked by two 0.125 carat sidestones. Ring design features yellow gold shank with white gold prongs. Coupon: Price after $93.75 coupon savings at checkout! Classic Traditional Style Art Deco Fabric Shade Table LampAn elegant accent table lamp, this lamp fits into any home or office. This lamp provides enough light for a relaxing area. The lamp also featurs on/off switch and fabric shade. Intel Atom Processor N270 1.60GHz, 802.11b/g Wireless, 1GB DDR2, 120GB HDD, 8.9 inch WSVGA, Integrated Webcam, Windows XP Home, Onyx Black.